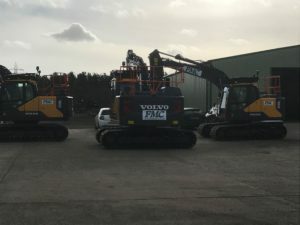 We have now taken delivery of our first batch of new Volvo 14T excavators. 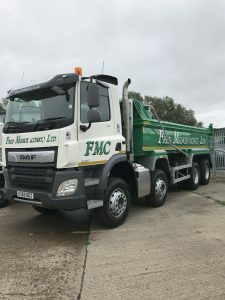 As part of our on going expansion we’ve now taken delivery of another new 8 wheel tipper. 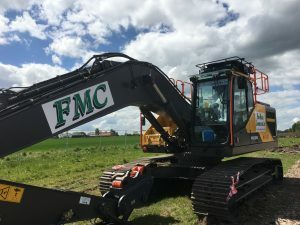 Allowing Fred Mence Construction to accommodate larger muck shifts in less time. 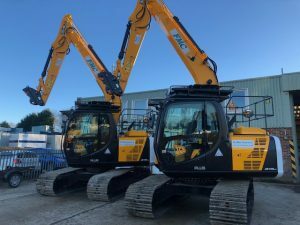 We have recently taken delivery of additional new JCB JS145 Excavators, expanding our fleet to help cope with current workloads. 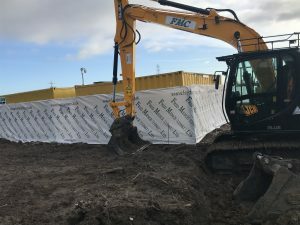 Our new projects are getting up to speed and the image below is from our compound at Cramlington, a roads and sewers contract for Persimmon Homes. 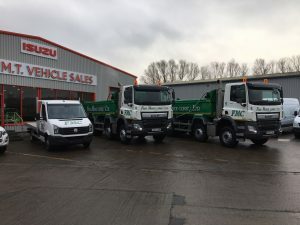 We have added a further two 8 wheel tipper DAF waggons to our fleet, allowing for greater tonnages to be shipped to and from sites along with a 5T VW Crafter. 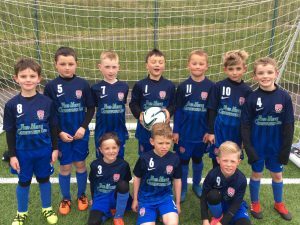 Our 2018 programme of works is already shaping up with new projects starting for Taylor Wimpy at Thirsk, Persimmon Homes at Cramlington & Wallsend, Ascent Homes at Ellington and Gus Robinson Developments at Hartlepool. 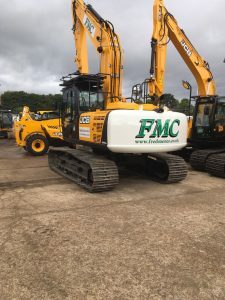 FMC are once again reinvesting in our plant range with ten JCB 3CX backhoe loaders and two JCB JS220 tracked excavators being replaced with the latest versions. Keeping our plant range as new as possible. 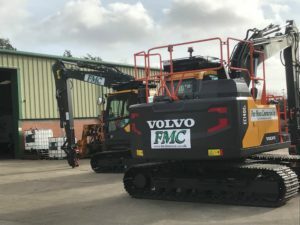 We have now taken delivery of another new excavator with a 28 tonne EC250 Volvo joining our increasing stock of plant. 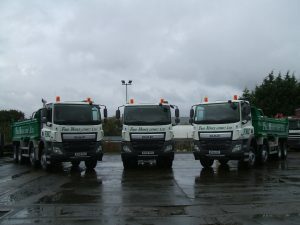 We have now taken delivery of our new fleet of DAF 8 wheel tippers and invested in a new tarmac laying machine. A reinvestment with the aim to maintain and improve our market share with the latest plant. 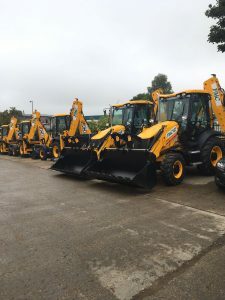 Renewed our whole fleet of JCB machines with the help of dealer T C Harrison & JCBthemselves. 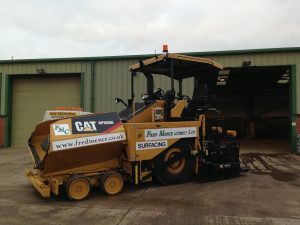 This will ensure at least 2 years with a modern & effective plant fleet. The Gold award has been presented to Fred Mence (Constructon) Ltd. as part of the RoSPA Occupational Health and Safety Awards 2013. This is the second consecutive year that we have obtained the Gold award. 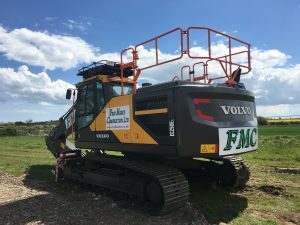 Fred Mence (Construction) Ltd. has had its approach to the prevention of accidents and ill health recognised in the RoSPA Occupational Health and Safety Awards 2012. 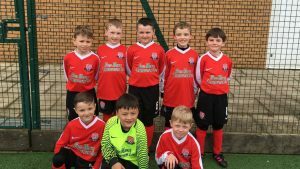 We have won a Gold award in the annual scheme, which dates back to 1956 and is the largest and longest-running awards programme of its kind in the UK. The RoSPA Awards scheme recognises commitment to accident and ill health prevention and is open to businesses and organisations of all types and sizes from across the UK and overseas. It does not just look at accident records, but also entrants’ overarching health and safety management systems, including important practices such as strong leadership and workforce involvement. 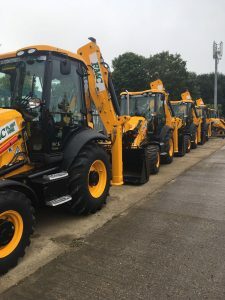 This month sees the replacement of our six 2 year old JCB Backhoe Loaders, together with the purchase of an additional two machines, making our current fleet of JCB Backhoe Loaders all eco-friendly machines in line with our carbon footprint reduction policy. 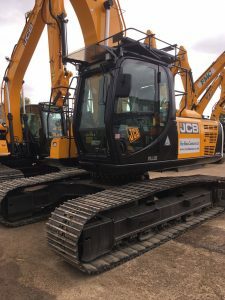 We have also replaced our two oldest excavators (5 years and 4 years old) with similar models from Doosan, which also have a newer cleaner engine than their predecessors. 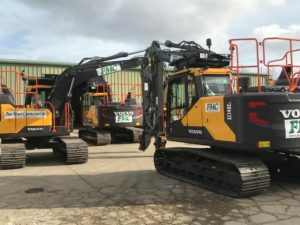 Our investment in these new machines, together with the our existing fleet will see us in good standing to complete current and future projects. 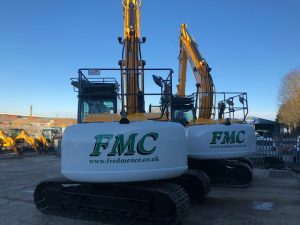 This year, Fred Mence (Construction) Ltd. is celebrating 23 years of trading. We have grown from a small company of just five employees to employing in the region of 100 employees. Our continued success has only been possible due to every employee’s level of commitment and hard work. We congratulate you all for making this possible and let’s hope we can continue for another 23 years.